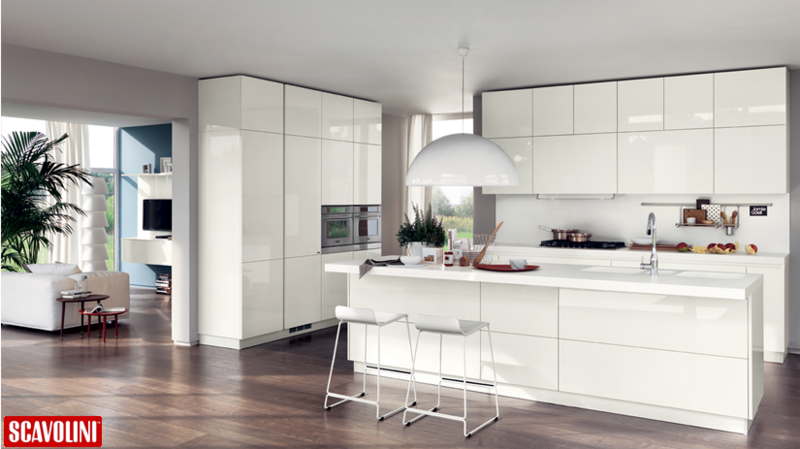 It’s 2016 and just like everything else in the world, kitchens have experienced a great deal of transformation. A century ago, kitchens were relegated to the back of the house but now, it’s an indispensable component to contemporary life. Homeowners today are demanding large kitchen plans with plenty of space for prepping, cooking and entertaining. Spacious islands, fancy pantries, sophisticated corner accessories and specialty appliances are no longer luxuries but considered must haves! Historically kitchens weren’t luxurious; they were seen as the hub of laborious work because it was common for the upper-class to have servants to tend to their needs. Unlike the kitchens of today, it was not a room where you and your guest would gather. In contrast, they established a disconnection from food and food preparation by situating the dining rooms far away from it in order to mask the smell of food. However this move wasn’t only limited to the elite as the lower class society also placed the kitchen away from the center of the home by moving them to the back of the house and next to the outdoor work areas if possible. This showed that the kitchen was purely functional and largely designed as a service area that needed to be completely divorced from eating and social areas. Cue economic and social shifts. The rapid rise of the middle class brought the kitchen closer to living quarters because working families were now living in small apartments which didn’t allow for much flexibility on where it can be positioned. 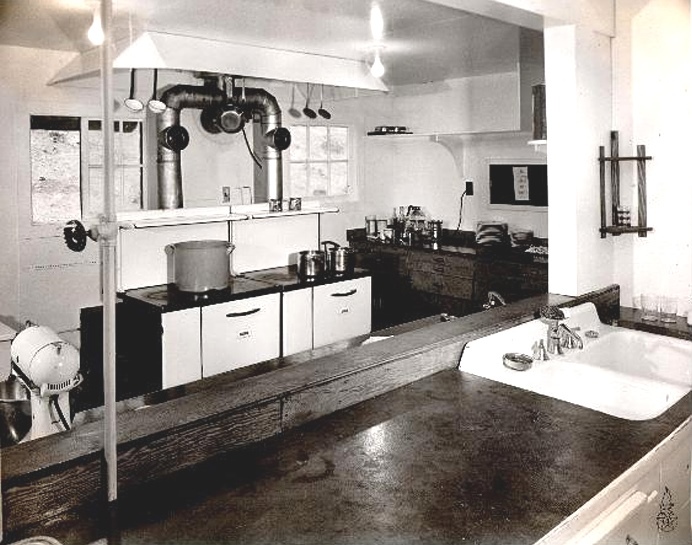 As always, the world adapted and in the 1920’s, kitchens took one giant step forward with the creation of the tiny, but efficient, Frankfort Kitchen. The ideology behind this kitchen concept was to put all necessary items in the kitchen within arm’s reach. It may sound obvious now but the awareness to enhance ergonomics and efficiency for the homemaker was revolutionary and eventually this gave way to the renowned working triangle. 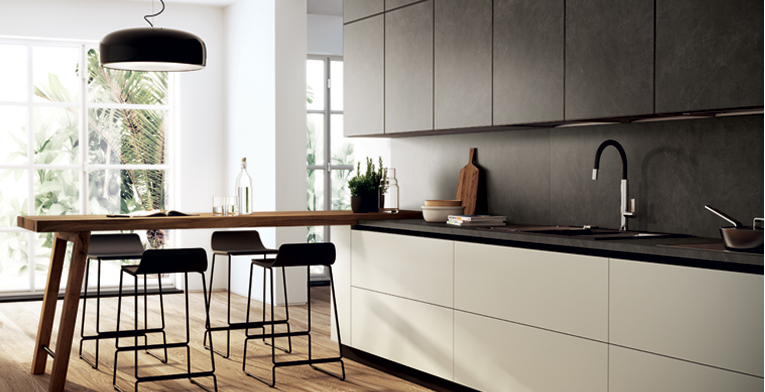 The kitchen’s status quo continued to progress and designers were constantly focusing on ways to improve the workflow and aesthetics of the kitchen. This paved the way for American Architect and Interior Designer, Frank Lloyd Wright, who played a big role in evolution of kitchen design in suburban residences. His Usonian homes are credited with being the first examples of the “open plan” which translated to a centralized kitchen opening to other public spaces of the home and forming virtually one uninterrupted space. The introduction of open planned kitchens also had significant social implications because women were no longer confined to the kitchen and men began to assume more of a care-taking role in the home. The stigma of cooking as a domestic chore for women faded, and food preparation was reinvented as a fine art and a sign of sophistication for men. Majority of ladies can agree that it’s a huge bonus points for a man to know their way around the kitchen! But what was really behind this shift in perspective towards the kitchen? The increase in popularity of cooking shows certainly elevated cooking from a tedious chore to an art that turned the average folk into master chef. It would rude of us to not mention Julia Child’s contribution – she single handily revolutionized America’s food culture with her charming personality oozing through TV sets in the 60s. There’s no denying that her pioneering ways also influenced and inspired countless food TV shows. Then there was the internet and with it came a flood of websites, blogs and apps dedicated to cooking, new recipes and ideas. For example, Social media powerhouse, Pinterest, has become a haven for foodies to share their favourite recipes and dishes. Nowadays, you would be hard-pressed to find someone who hasn’t tried their hand making a new dish they’ve seen on the internet or TV. 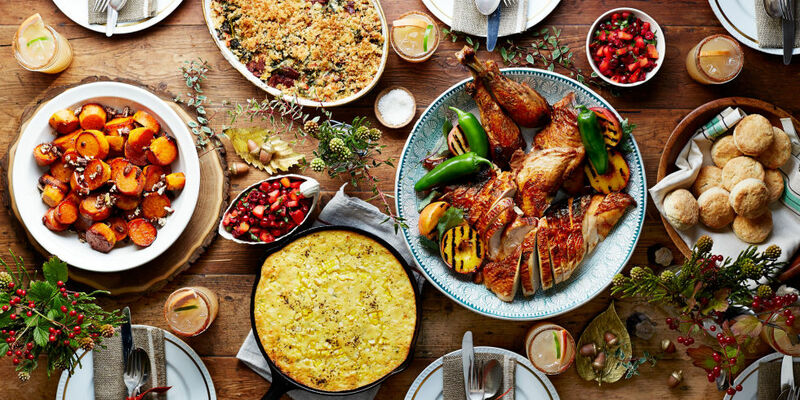 Recipe sharing has become a honored exchange between friends and family. 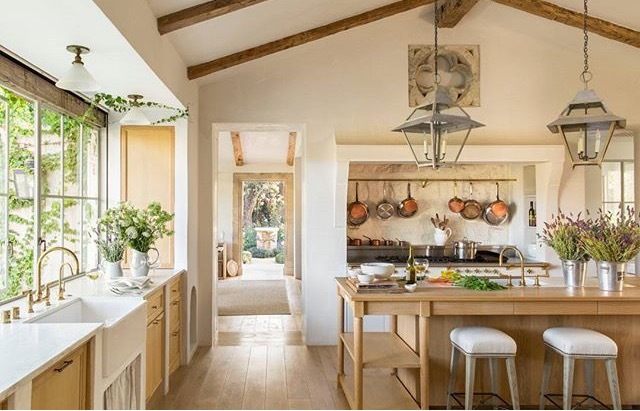 As a result, homeowners want well-equipped and designed kitchens to act as their stage to show off their culinary prowess to guests and display designer cookware. Thus the trophy kitchen was born. But who was the silent sidekick to all these Instagram worthy dishes? Like the kitchen, modern habits contributed to changes in the design of appliances. How else are we supposed to satisfy our evolving palettes? The answer is more efficient, better designed and technologically advanced appliances. Architects, engineers and designers took notice and responded accordingly. Technology entered the equation sometime in 1940 and some people say the invention of labor and time saving devices was not only a bi-product of technology but also of war efforts. According to popular belief, after tasting work outside the home during WWII, women returned home and desired more effectiveness in the kitchen. It began with electrified small and large appliances such as blenders, toasters and microwave ovens and by the 1980s, the extractor hood was successfully implemented into the kitchen. As our needs become more complex, kitchen appliances need to be capable of performing multiple functions yet easy to navigate. Long story short, we need appliances that can withstand hard work in order to make us and our elaborate Italian desserts look good! And in a nutshell, that’s how the kitchen went from being a segregated service room to the natural gathering place for family and friends. Stay tuned for part two!